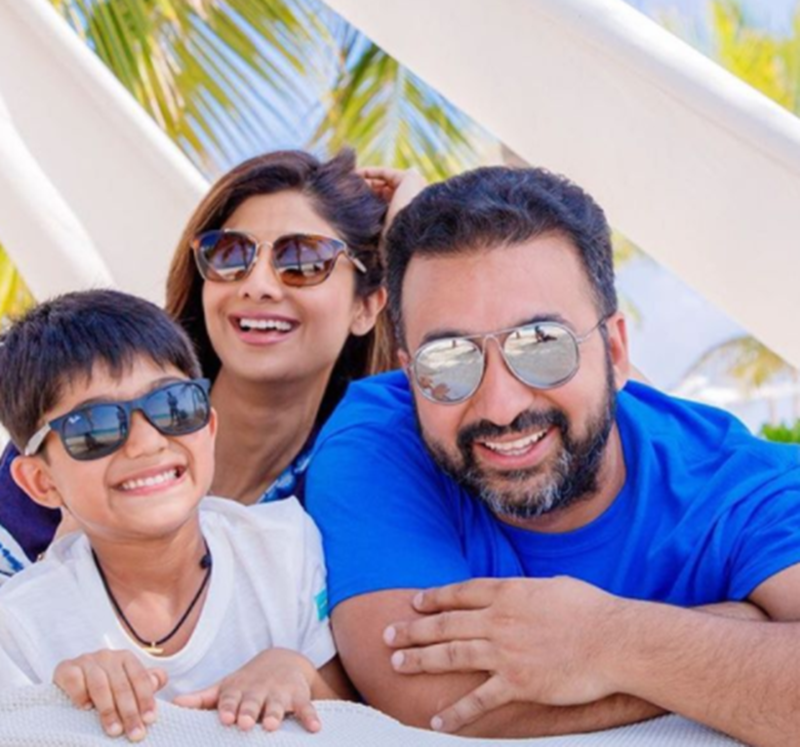 Shilpa Shetty was on a family vacation in Maldives with husband Raj Kundra and son Viaan Raj Kundra. The trio was seen beaming with happiness, giving us major travel goals. 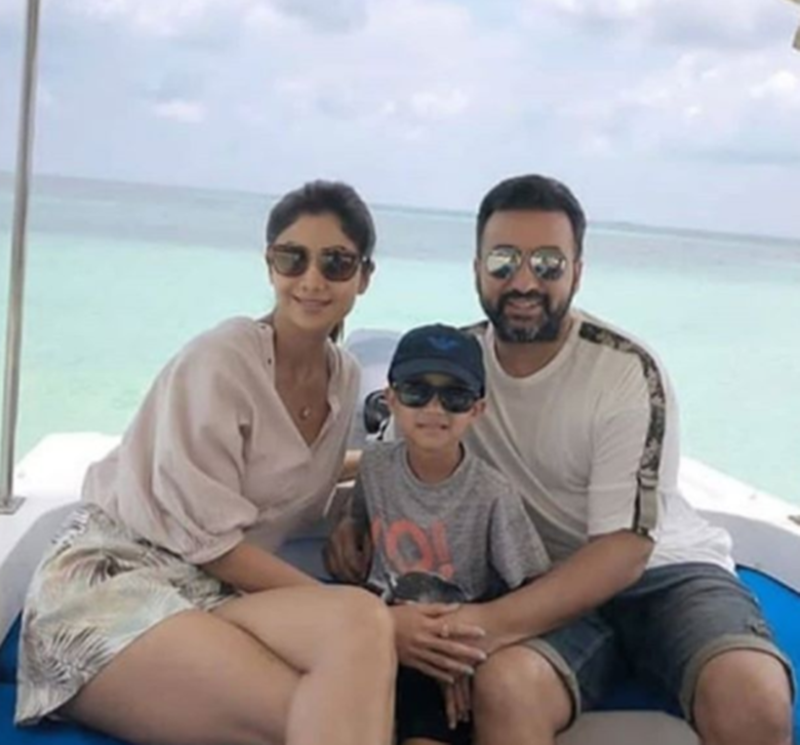 Shilpa Shetty was on a family vacation in Maldives with husband Raj Kundra and son Viaan Raj Kundra. The trio was seen beaming with happiness, giving us major travel goals. 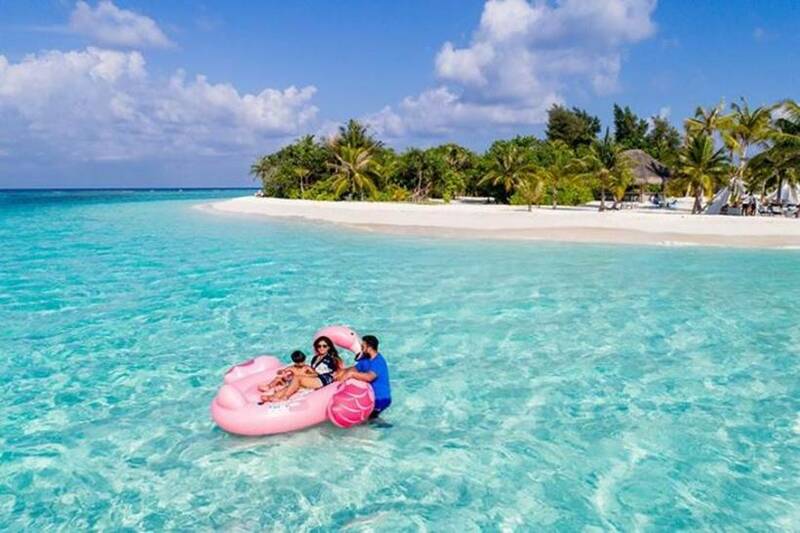 Shilpa shared a series of photos and videos from her beach getaway on her Instagram profile. Scroll on to see all the photos. Shilpa shared an amazing click and captioned it, "Family is not an important thing ,it is EVERYTHING.. Feeling gratitude and not expressing it , is like wrapping a present and not giving it.. Thank you to the universe for manifesting all my dreams ,smiles and love 😇🤗. #flyinghigh #Batteriesrecharged #readytotakeontheworld #gratitude #happiness #instagood #family #islechictravel." The actor was seen enjoying the holiday to the hilt. 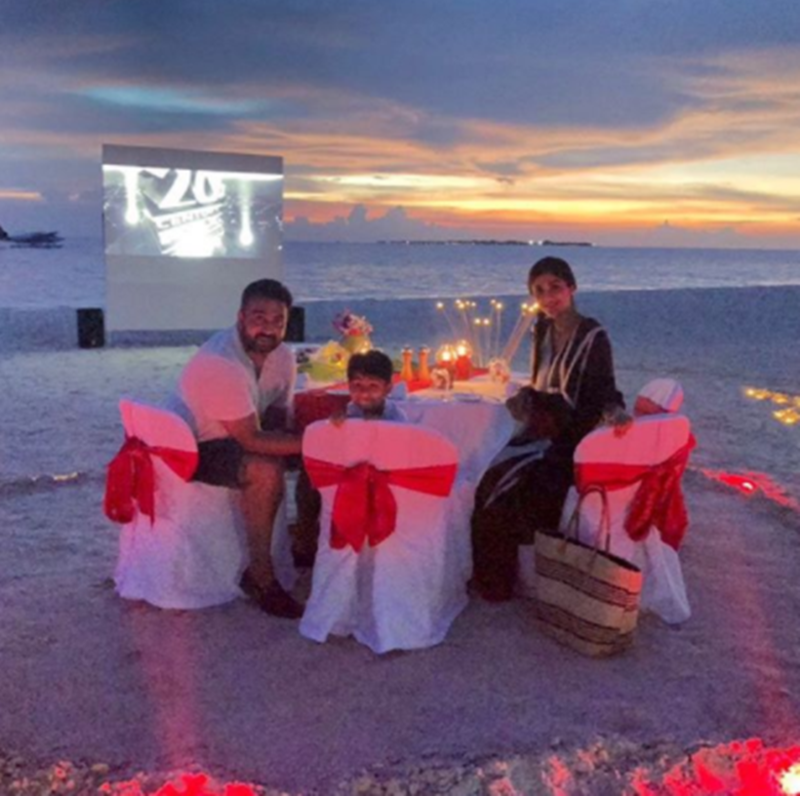 Raj Kundra shared this family click and wrote, "A lovely movie (The Greatest Showman a must watch) and meal on the beach! (Yesterday’s fresh catch 🐟)." He also stated this family vacation as 'magical'. Shilpa, who is known for her fitness, had shared this click earlier. "Kundra’s in Kanuhura 😬," read the picture caption of this photo. Shilpa Shetty looked hot in white. Isn't it? Shilpa also shared a click with husband Raj Kundra. "Back from the most amazing holiday in a while! Much needed break from the city madness. Time To get back to the grind. 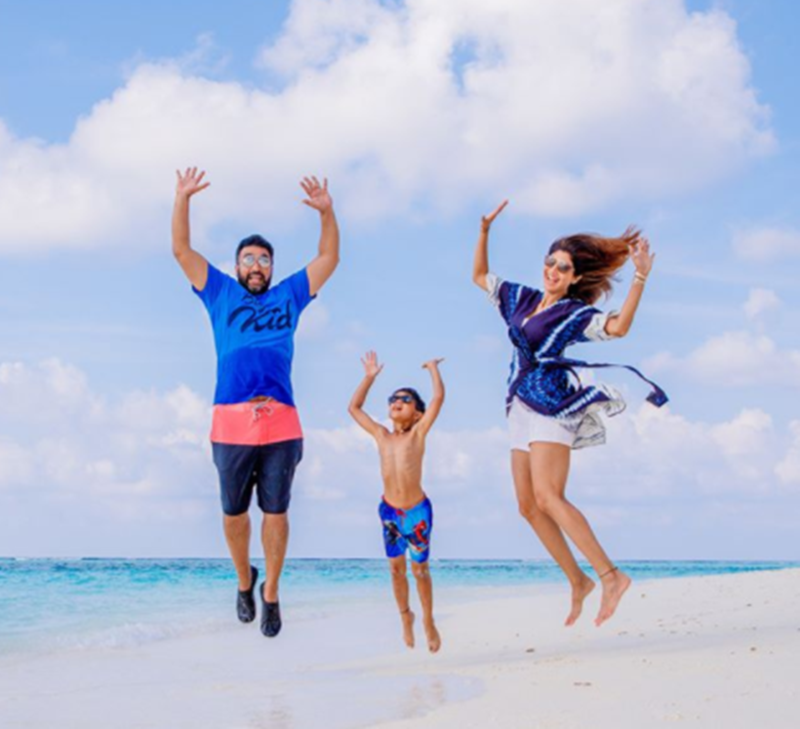 Thank you @islechictravel and @kanuhuramaldives for making it so special #maldives #heavenonearth #familytime #recharged #allsmiles," reads the caption of the recently shared photo by Shilpa's husband Raj. Shilpa, Raj and son Viaan were all smiles. A few more clicks were shared by the Kundars from their beach holiday. Shilpa Shetty had a good family time it seems.